AUCTION: SATURDAY, APRIL 6, 2019 at 1PM Move-in ready one story brick ranch home with 1112 sq. ft. living space, in the Township of Colerain, County of Belmont and being a part of Section 7, Twp. 7, Range 3. Situated on a 3.354 acre tract landscaped with shrubs and trees, the home accommodates original oak trim throughout, a carpeted living/dining room, three (3) bedrooms with beautiful original oak hardwood floors, carpeted sun room (formerly back porch), one bath w/Bath Fitter Safety shower (no tub), and an eat-in-kitchen with peninsula bar and laminate floor. The kitchen is equipped with a side-by-side Whirlpool refrigerator/freezer, electric cook-top and Maytag electric built-in wall oven unit. Sliding glass doors from the sun room lead to a large picturesque back yard with an Amish-built garage storage shed (16 x 24 w/12' garage door) in the front side yard, perfect for your outside storage solution or workshop. The home has whole house air and is heated with fuel oil. The basement houses a one-car garage; two 275-gallon fuel oil tanks; Whirlpool 50-gallon hot water tank (2014); Bard oil furnace; Model 3100 Woodchuck wood burner; 200-amp electric center; Whirlpool washer and Maytag dryer. There are two wells (1960 & 1997) and septic sewer. Oil, coal and mineral rights do not transfer. OPEN FOR INSPECTION: Sunday, March 10th and March 17th, 2 - 3:30 PM. All inspections must be completed prior to bidding. TERMS AND CONDITIONS: Homeland Realty, Inc. requires a $5000 non-refundable down payment in the form of a certified bank draft paid by winning bidder day of auction, with balance due at closing. Title search paid by Seller is to be reimbursed by Buyer at closing. The real estate will be sold “AS IS, WHERE IS” with no warranty written or implied. Bids cannot be retracted. All announcements day of auction take precedence over printed advertising. All information was derived from sources believed to be correct but is subject to inspection and verification by all parties relying on it. 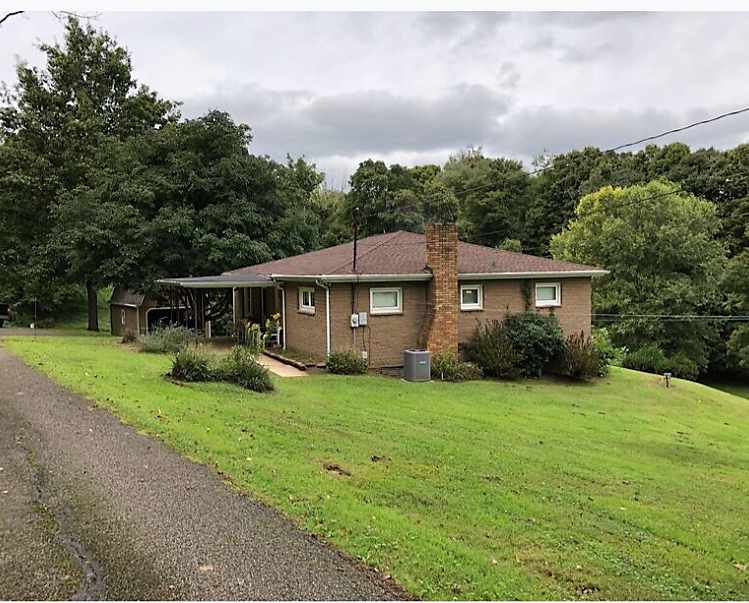 Auction conducted by: Teresa (Terri) Hutton, Sales Agent/Auctioneer OH License #2006000159 for Homeland Realty, Inc., Cadiz 740-491-0222 or 740-942-2207.